Left hospital at seven o’clock by ration truck taking us to El Ballah on main road – Palestine truck took us another seven miles then struck amazing luck catching a wog truck going right to Suez. Reached there at eleven and soon obtained short ride onto ???. 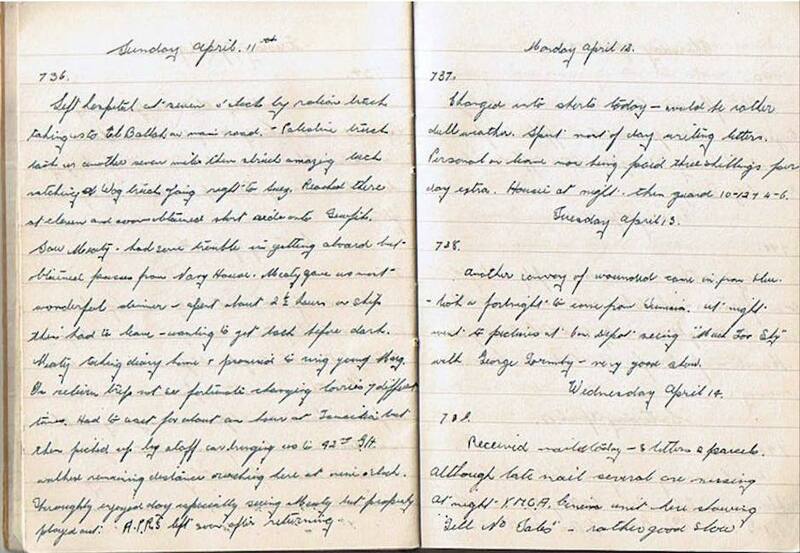 Saw Meaty* – had some trouble in getting aboard but obtained passes from Navy House. Meaty gave us most wonderful dinner – spent about 2 1/2 hours on ship (No1 NZHS Maunganui) then had to leave – wanting to get back before dark. Meaty taking diary home & promised to ring young Marg. On return trip, not so fortunate changing lorries 7 different times. Had to wait for about an hour at ??? but then picked up by staff car bringing us to 42nd St. Walked remaining distance reaching here at nine o’clock. Thoroughly enjoyed day especially seeing Meaty but properly played out. APRs(?) left soon after returning. Click here to see the menu from onboard the ship. Changed into shorts today – would be rather dull weather. Spent most of day writing letters. Personnel on leave now being paid three shillings per day extra. Housie at night then guard 10-12 & 4-6. 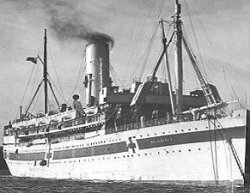 Another convoy of wounded came in from blue – took a fortnight to come from Tunisia. At night went to pictures at Con. 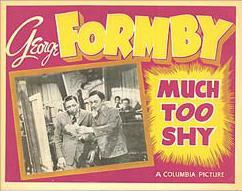 Depot seeing “Much too Shy” with George Formby – very good show. Received mail today – 3 letters & parcels. Although late mail several are missing. 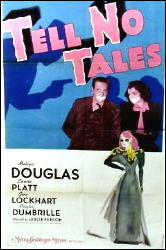 At night YMCA Cinema unit here showing “Tell No Tales” – rather good show. * Meaty – I believe “Meaty” refers to Captain Garnet(t) Meatyard. Although I have found no reference of him being the captain of the NZHS Maunganui at the time, he was referenced in this article about the TEV Wahine. With my grandfather having been raised in the port town of Lyttelton and his father having been captain of a ship, it’s very likely Captain Meatyard was an old friend and was likely a senior officer on the ship at the time. For more information about the NZHS Maunganui, click here.